Hello again everybody. (sounds like Harry Caray beginning a tv broadcast for Cubs fans out there) What a week it was last week around here! Week two of the season has historically been one of the best of the season and this year was certainly no exception. Another loaded camp took advantage of some outstanding multi-species fishing with the walleye, pike and smallmouth bite all producing lot’s of fish for guests. Only one new crew was with us last week, but Tony Lause’s group of four from the Kansas City area had a great trip. Somewhat novice to the “walleye thing” it took a short while but a few of the guys figured it out and did just fine for first timers. Otherwise, it was all familiar faces in camp although Kevin Prugh’s crew was here for just their second time. Despite being relative “rookies” these guys caught a lot of fish and had a great time for a crew of “preacher’s and teacher’s! Next year we are going to work on removing the jaw spreaders from the pike’s mouth before releasing the pike back to the water, right Rick? Wally Gutzmer’s crew of eight was here again and as always had a great time and hit almost all the water around us. 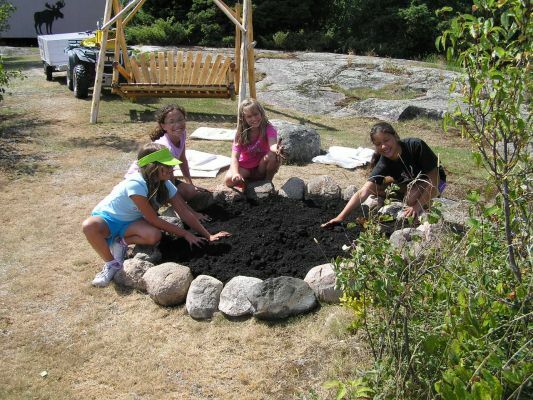 Pete Paruch’s crew of four had another great trip with us and we look forward to having them back again next year too. Tony Burant had a group of five and they were very productive on the water as you might expect for some seasoned vets other than Tony’s niece Jessica who was along for the first time. Not to worry, she did just fine as a rookie. Randy’s crew from Wichita was here and as usual had no trouble catching a lot of fish of all species. Walleye- check. Pike-check. Smallmouth- check, check. Lake Trout- Pat checked this off nicely with a dandy 31 1/2” beauty. Now for Gar’s crew… You may remember the guys that buy A LOT of minnows (this year ONLY 160 dozen for the week), they would have bought more I am sure but fishing was really “off” this year as they barely managed 1,000 fish for the week. After a few year years of catching about 1,400 fish and a record year of just over 1,600, they went home and still said they were happy and took accountability for their under-performance by noting they only hit the water once before 9 a.m. Haha- slackers! 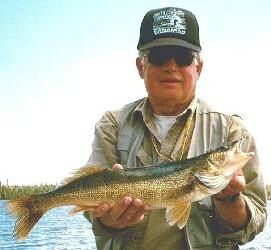 Some of the notable catches throughout the week included: Jim Carlson with a 22, 21,20 and 2- 19 1/2″ walleyes. Randy Teter had a couple of 19″ eyes. Zee caught and released a beautiful 21 1/2″ walleye, Al Fisher released a nice 21″ walleye, Jon Christenson a 22″. Wyman Warren a 22 1/2 and 21″ walleyes. Brandon released a 21″ walleye and Tom Rouleau a 20 1/2″ eye. 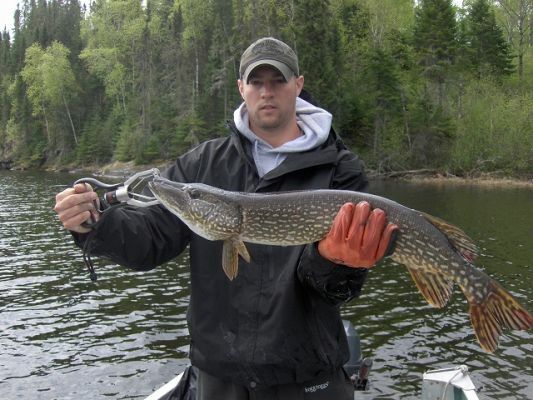 Big northern for the week was Randy Teter’s 41″ fish with Pete Paruch’s 39″ northern a close second. Jon Christenson and Charlie Archer each released 36 1/2″ pike and Al Fisher put back a 30 1/2″ fish. Zee, Rouleau, Teter, Stump and Brandon all released smallmouth between 16-19″.